Employee Hotlines is a division of the award-winning contact center, Direct Line Tele Response. 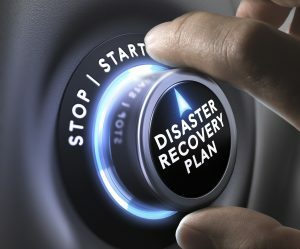 Our telephony platform and back-up systems are one in the same so if you have a server failure, natural disaster or an unexpected accident, we’ve got you covered. 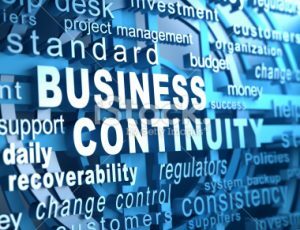 Having a robust Business Continuity plan provides a 24/7 solution that ensures your business can continue to receive calls regardless of the situation. Here at Employee Hotlines, a third-party, independent continuity audit is conducted every four (4) years. Our industry’s governing entity; the Association of Tele Services International (ATSI) facilitates this comprehensive audit. Call center facilities that meet and exceed the required industry continuity standards earn what is known as the Gold Site certification. Call centers that obtain this distinguished credential have earned the highest degree of business continuity available in the tele-services industry. VIRTUAL SERVERS: Our mission critical servers are in a virtual environment so if any one physical server fails, the other nodes can support the load. This system is then backed up to another server on site and nightly backed up offsite. MULTIPLE SERVICE PROVIDERS: We utilizes not only PRI-T1 technology for the bulk of our incoming call traffic, we also have VOIP service over multiple internet connections as not only our primary outgoing call “trunking” but also our “failover” solution should our PRI traffic be disrupted in any manner. CLIMATE CONTROLLED ENVIRONMENT: Our server rooms are climate controlled with a separate split air conditioning unit to keep optimal temperatures at all times. A continuous temperature watch system is also employed and our in-house and on call staff are notified immediately with any type of deviation. GENERATOR & UNINTERRUPTIBLE POWER SYSTEM: Our generator and uninterruptible power system or UPS is continually running so as to manage any variations of power from PG&E. This also allows us to bridge the gap of time prior to the generator powering on. There’s an onsite diesel generator that allows us ongoing service in the event of a power outage. The 100 gallon capacity provides three (3) to four (4) days of continuous service. We also have a strategic alliance with a fuel service provider in the extremely rare case that more fuel is needed. ALTERNATIVE INTERNET PROVIDERS We have two internet providers, one via an Ethernet loop and one via cable. AT&T currently manages the last mile of most connection points into any residence or small business. By having a secondary means of internet that is not on the AT&T loop we are able to bypass our reliance on any one provider. Our firewall is not only used for security, but also can automatically switch between internet providers should one be inoperable. SAFETY NET: We have the ability to route calls off site and utilize an ACD switch with our provider in the New England area. If there is an issue, such as a major natural disaster(s) or something catastrophic within our corporate office such as a fire, we would be able to route the calls to this offsite switch for seamless processing. This is the third source of backup for our system data and second offsite location. REMOTE STAFF: Many of our professional call agents have the ability to securely login to our telephony system and begin taking call. Some agents are located outside of our immediate geographical area. MOBILE COMMAND UNIT: Our mobile command unit is on stand by 24/7 and is fully equipped with generator power so that it can be ready for immediate deployment in the case of an office disaster or area-wide event.